Chapter 3 of the NCERT Social Science textbook introduces the students to the idea of a ‘Government’ and its various forms. Chapter 4 elaborates on the key elements of a democratic state. This exercise supplements the unit on Government. 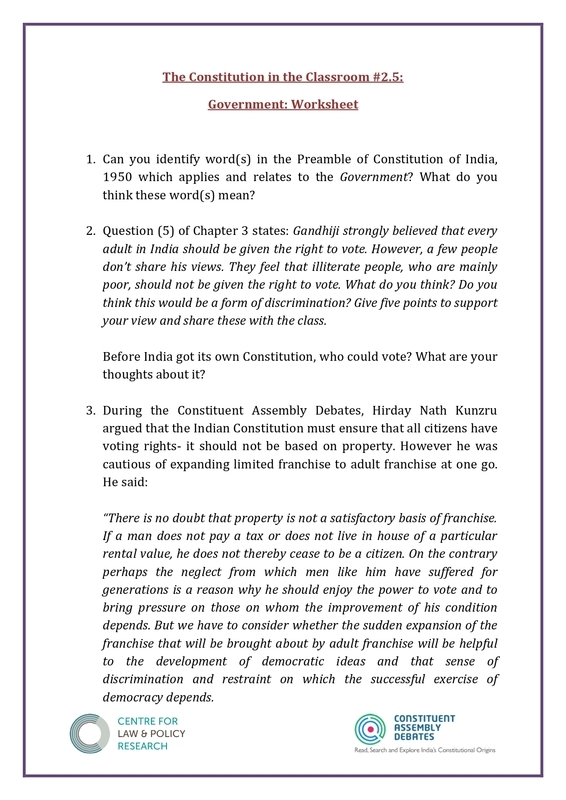 It is designed to foster deep conversation and engagement on the topics of democracy, adult franchise and equality from the lens of the Constitution of India, 1950 and its history.